Fluoride treatments at our dental office are a vital defence against tooth decay, cavities and even gum disease. All three are caused by bacteria that produce acid and collect around the gum and teeth in the form of plaque. Home oral hygiene can remove some of this plaque, but not all of it. That’s where a fluoride treatment is necessary to prevent oral health issues. To ensure the treatment is effective, you need to have a healthy home routine. This routine should include brushing twice a day, flossing daily and visiting us at least twice a year. 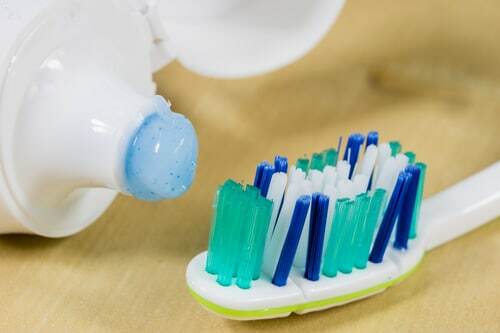 Topical: These are applied directly to the enamel and come in the form of rinses, toothpaste as well as the treatment we provide in the dental office. Systemic: These are swallowed. Melbourne water is fluoridated, which is an example of this type of treatment. Dietary fluoride supplements are another example. By combining topical and systemic treatments, you get the best chance of avoiding cavities and other plaque-related oral issues. If you are at a high risk of dental decay, professional fluoride treatments should be part of your oral health plan. Our treatment uses a stronger concentration than you can find in over-the-counter mouthwashes or toothpaste. The process only takes a few minutes. We usually do it after we have completed the scale and clean at your bi-annual check-up. We apply it via a cotton swab. Or, if you would prefer, via a rinse that you hold in the mouth for a couple of minutes. Following the treatment, you should avoid eating, drinking or rinsing for about 30 minutes, so the fluoride can be absorbed into the teeth and begin repairing any problematic areas. We will recommend how often you should return for repeat treatments, as well as any advice on improving your home care routine such as changing your brushing technique, using a different toothpaste or just encouraging more flossing. As cavities worsen, they require more and more invasive and expensive treatments. At the minor end, you can expect fillings, but if they get more serious, you may need crowns and even tooth extraction.